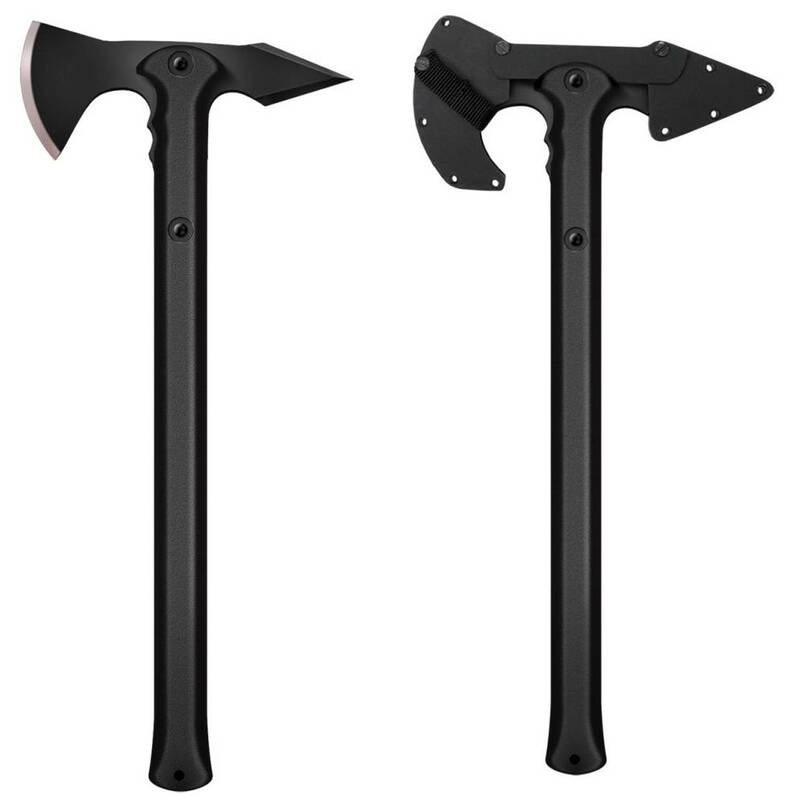 The Gerber 31-000914 Camp Axe II is a durable, high-performance axe that is well-balanced for efficient impacts. 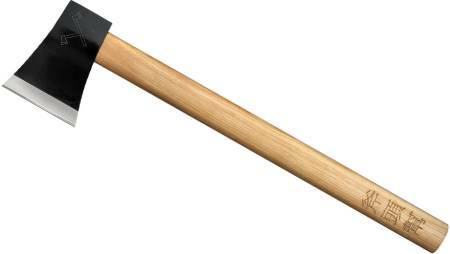 With a forged steel head that will maintain its edge over time, this 17.52 inch axe features a smooth and virtually indestructible fiber comp handle that feels comfortable and secure in the hand. Crafted with a highly durable fiber comp handle that is molded around the axe head, the Gerber Camp Axe II can withstand extensive use and tough conditions. The axe head is engineered with durable forged steel, which means it will keep its sharp edge over time. 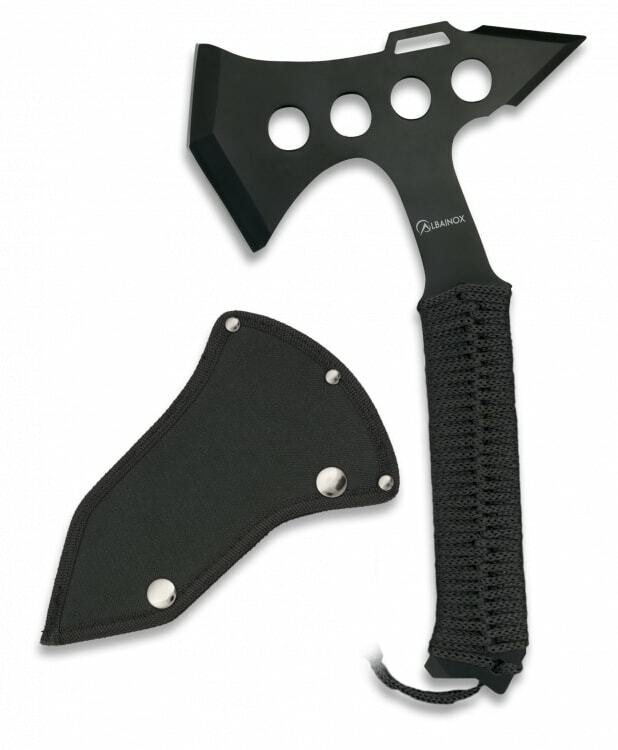 The Gerber Camp Axe II features balanced construction and weight for superior handling and effective impact. The fiber comp handle transfers minimal shock to the hands and arms, and the swing of this lightweight but durable axe is comfortable and easy to control. At just over 38-Ounces and measuring just under 17.52-Inch in length. The Gerber Camp Axe II is easy to strap to your pack for use while camping, hunting, or hiking. 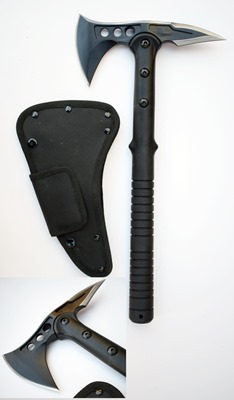 The included sheath allows you to easily carry the axe on your belt and protects the head during transport or storage. 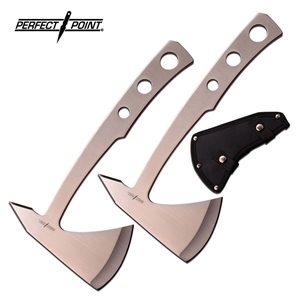 You can use the Gerber Camp Axe II as a hatchet or axe, and depending on the project at hand, you can split or cut wood for the fireplace or campfire, make wood chips, cut tree limbs, use it for wood gathering, and more. The handle of the Trench Hawk is also highly resistant to shock and impact and will withstand abuse that would easily break even a tough hickory handle. And, as an added benefit, is easily and cheaply replaced when finally worn out or broken from repeated throwing (NOTE: any handle can, and will, break eventually). Finally, to help protect its owner from its cutting edge and dangerously sharp spike, it comes with a patented Secure- Ex™ sheath that features a cleverly articulated design.